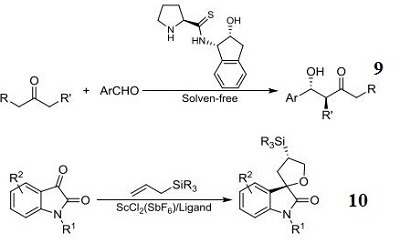 Ligand component used in the chromium-catalyzed highly selective asymmetric ene reactions between aryl aldehydes and alkoxy- and silyloxyalkenes. Ligand component for the chromium-catalyzed highly enantioselective o inverse-demand hetero-Diels-Alder reactions of α,β-unsaturated aldehydes. Ligand component for the magnesium-catalyzed conjugate addition reaction of 1,3-dicarbonyl compounds to nitroalkenes. 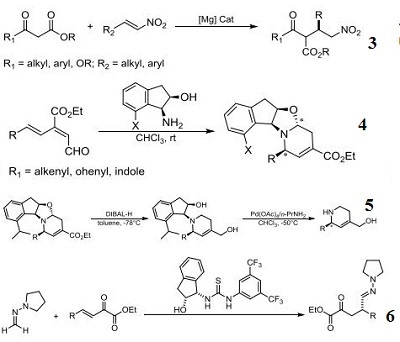 carbonyl-2,4,6-trienal compounds and the (-)-7-alkyl-cis-1-amino-2-indanol derivatives. Component for organocatalytic conjugate addition of formaldehyde N,N-dialkylhydrazones to β,γ -Unsaturated α-keto esters. 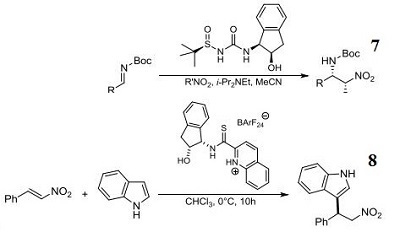 N-Sulfinyl urea organocatalyst component for enantioselective aza-henry reaction. 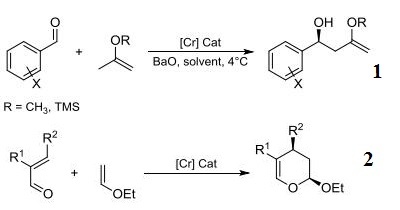 Component for organocatalytic enantioselective additions of indoles to nitroalkenes.